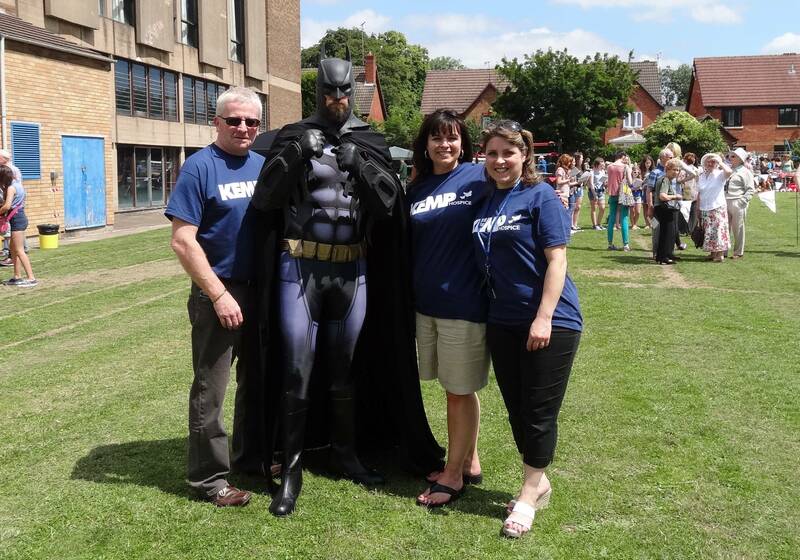 This year’s PTA Summer Fayre at Holy Trinity School was once again a truly fantastic event, with everyone from the school and local community enjoying all ‘the fun of the fayre’ after it was officially opened by none-other than Batman, AKA the caped crusader and Holy Trinity teacher, Mr Chris Barth, on Saturday 21st June. Visitors were treated to a plethora of traders’ stalls and outside activities as well as a falconry display and arena wrestling matches. Lots to do, see, enjoy, eat and win thanks to the generous prize donations from local people and companies amounting to over £1,000 worth of raffle prizes, with this year’s chosen charity KEMP for Kids benefitting from this truly community event. PA Chair, Mrs Michelle Howles, said: "Once again thank you to the local community and stallholders for helping make the fayre such a spectacular success. It was a thoroughly enjoyable event which will directly benefit both our students and the KEMP for Kids charity.” This year’s chosen Kidderminster based charity KEMP for KIDS, offers specialist care and support to patients, families and carers dealing with life limiting illness and bereavement. The aim of KEMP is to help families maintain their independence, by supporting them to adapt to changing abilities, so that they can live their lives to the full, for as long as possible.